Tickets for the eagerly-anticipated 2014 Silverstone Classic (25-27 July) have gone on sale offering significant ‘early bird’ discounts for those planning ahead or, perhaps, seeking a special Christmas present. Back in July, the 2013 Silverstone Classic lived up to – and beyond – its undisputed title as the World’s Biggest Classic Motor Racing Festival. The massive event boasted a new record entry, with no fewer than 1113 amazing racing cars spanning eight decades of glorious motor sport history lining up for 24 memorable showdowns. The grids also featured a growing number of star drivers from past and present generations, including FIA World Touring Champions Andy Priaulx and Rob Huff, Le Mans winner Jackie Oliver, touring car aces Tim Harvey and Steve Soper and racer/TV presenter Tiff Needell. Away from the racing the Classic set even more records. 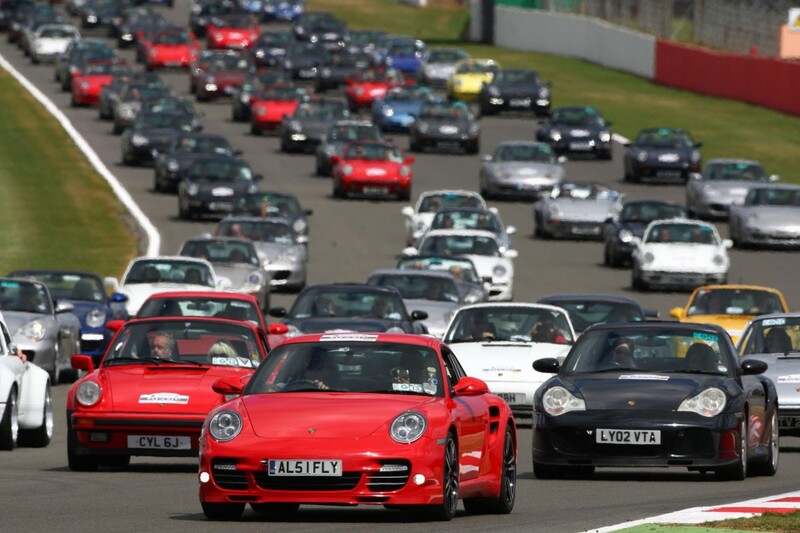 To add to the show, Silverstone was festooned with more than 9000 classic cars on display, while an unprecedented parade of 1208 Porsche 911s took to the track to celebrate the iconic sportscar’s 50th anniversary – far surpassing the original target of 911 models. There was a record Silverstone Classic crowd, too, with in excess of 90,000 savouring the action over the three days. Since then, more than a million more TV viewers also have watched highlights on ITV4. While the bar was raised to new heights in 2013, next summer’s extravaganza will be even more ambitious with many exciting announcements planned for the coming months. Once again, tickets will only be available in advance and the Classic is sticking to its popular ‘access all areas’ policy. Offering great value every tickets grants admission to free parking, all the racing pits and paddocks, trackside grandstands, fun fair rides, air displays and live music concerts on Friday and Saturday evening. This year is the ‘booking fee’ is also included in the price to avoid confusion. Those taking full advantage of ‘early bird’ discounts (available until 31 March 2014) can save up to 15 per cent with adult tickets available from £33 with only a small cost to cover postage (£1.95 for standard delivery). Further considerable savings are offered for the growing number of festival-goers staying at Silverstone for the entire, action-packed three-day event. Moreover there’s a special incentive for members of car clubs and organisations registered with the Silverstone Classic. Registration is totally free for 2014 and, once signed up, members of these clubs will be given a special code offering them two adult tickets – plus the wonderful chance to add their own classic car to the glittering in-field displays – from just £39. One celebration to look out for in 2014 is the Ford Mustang’s 50th anniversary and the Classic is delighted to announce that the Mustang Owners Club GB has selected the Silverstone Classic for its official birthday meeting. Full details of all special offers and ticket prices can be found on the event’s official website: www.silverstoneclassic.com. Car club organisers should go to www.silverstoneclassic.com/carclubregistration to register and obtain their display code.